A simple piece... glowing charcoal makes up the star while a couple simple paintbrushes and smudging effects make up the nebula. 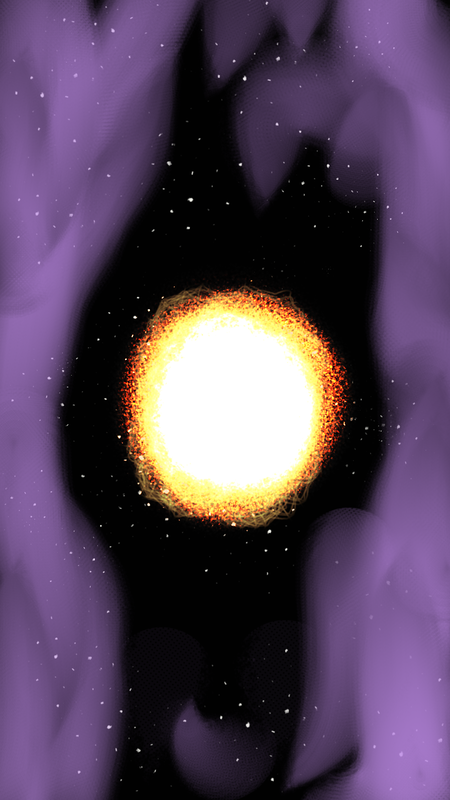 The Speckle brush also makes a rather nice star field. Anyway, pick-ups should be up and about later today.